Sleeplessness! Eek! It's a common complaint among women during their wiser years. My Mom is robbed of sleep every night. Insomnia can't be good for her body or yours or mine. I've noticed some rather desperate pleas on social networks on ways to get to sleep and understandably so! Here's my top 3 ways to fall asleep. I hope it gives some struggling snoozers some zzzzzz's! 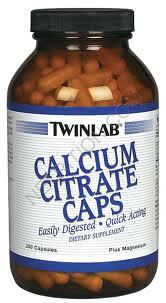 Calcium Citrate. I only take Twinlab brand. I believe it is the magnesium in this product that does the trick. I can go to dreamland taking one pill before bedtime. If I really want to go bye-bye, I take two (the recommended dosage). There's also a couple of added benefits with this supplement: regular BM's and it inhibits the formation of calcium kidney stones. BIG SCORE! It's a WIN-WIN-WIN situation!!! I buy them here. 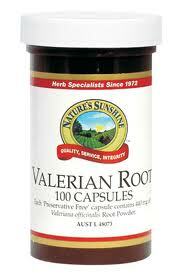 Valerian Root. I prefer Nature's Sunshine brand. I believe they sell the purest product giving the best results in the herb industry. I can take one pill before bedtime and it relaxes me right off to sleep. I take two if I'm really keyed up and feel like I can't possibly sleep. This supplement also has various benefits: decreases constipation and decreases anxiety/nervousness. 3. Watching TV. My husband says I have a switch in my behind. Every time I sit down to watch TV, the couch flips that switch and I'm off like a light. That's what he says! It doesn't work like that every time. But I do love a noise to put me to sleep. I like the TV at a low rumble, or a fan or a dehumidifier. Anything that gives a low pitched constant noise should lull you to sleep unless you suffer from misophonia. It also helps to turn the TV off once you're just about to go to sleepy town because darkness increases melatonin production which in turn enhances sleep. Bananas increase melatonin too. 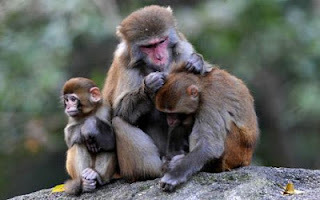 So... the next time I can't sleep I'm going to act more like a monkey. Eat a banana and pick fleas off my family members. I've heard protein promotes sleep too! I'll let you know how it goes! These tips are not "For Women Only". They work on both human species. Leave me a comment and let me know which one of these works for you!